It's Christmas in the woods with the darling Woodland Mat! 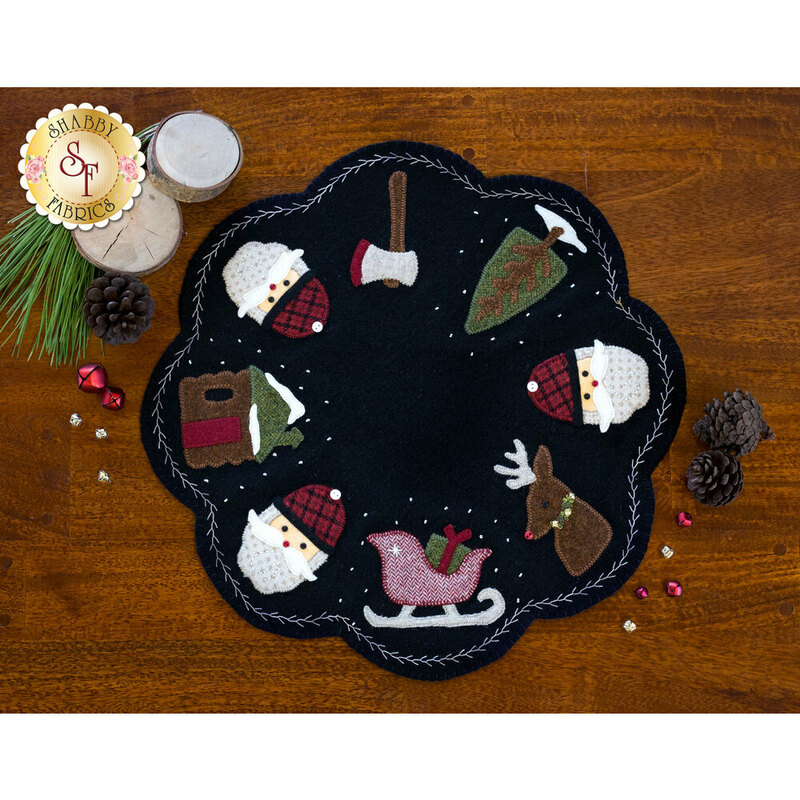 Santa Claus has on his favorite plaid hat and Rudolph is ready by the sleigh in this festive table mat - in all WOOL! 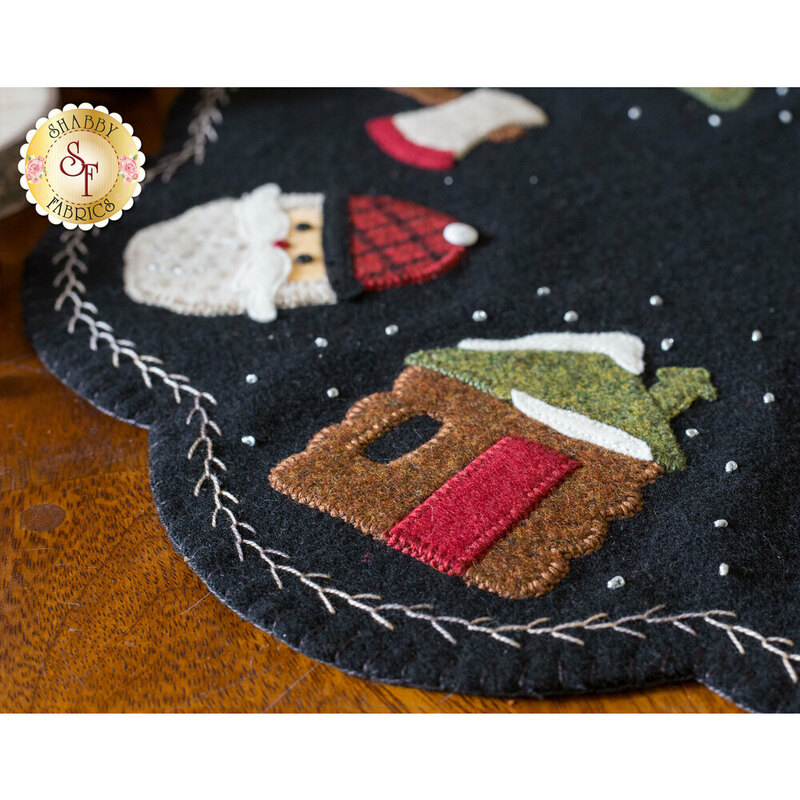 This mat features wool appliqué and hand embroidery, with jingle bell and buton embellishments for that special little touch! Mat finishes to approximately 17" in diameter. 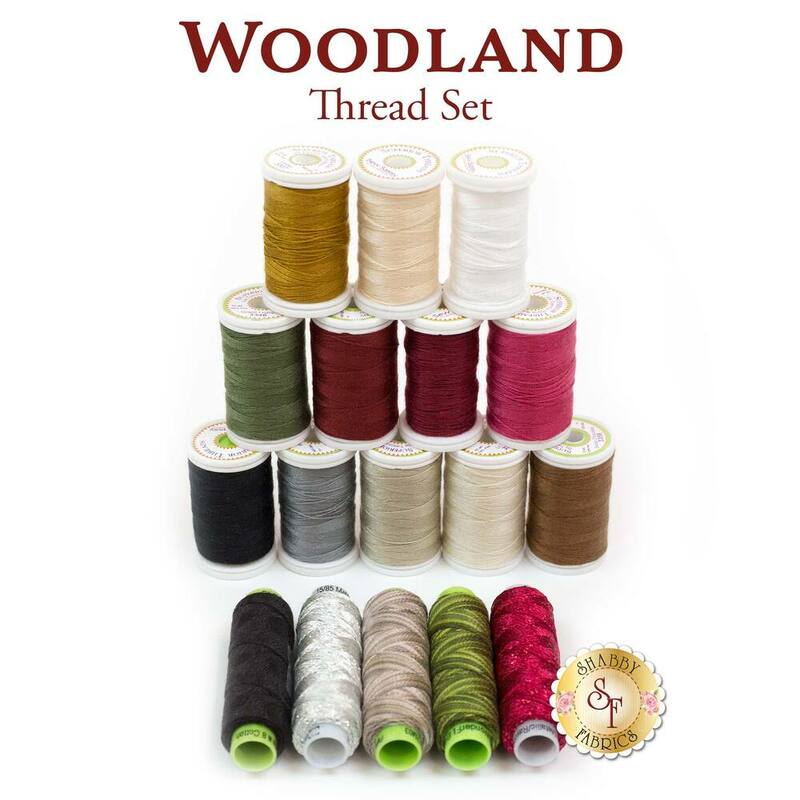 All wool to complete this project, including wool backing!